Countless organisations up and down the UK have no doubt getting in the Christmas spirit and sprucing up their workplaces with festive decorations. 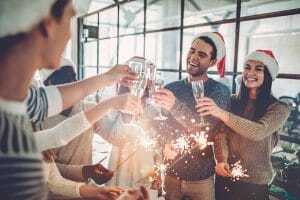 But for those grinches who resist the tinsel and trees, there are compelling reasons for allowing your employees to bring a bit of yuletide sparkle into the office. Challenging your employees to create Christmas decorations, either as part of a competition or just a fun exercise to make the office more festive, can work wonders for team spirit. As well as encouraging collaboration, it gives employees the chance to exercise their creativity and take a short break from screen-based activity. Teamwork in the workplace can stimulate creativity, engagement and innovation, but many of us are guilty of staying in our little nooks. It’s easy for employees to put their heads down to get the job done alone, but with a little encouragement and fun, collaboration can flourish. The stresses of Christmas shopping aside, most of us enjoy the festive period and are more upbeat and happier because of it. Whether it’s the general Christmas cheer shared with others or the thought of spending time with family, a festive environment brings out that childhood anticipation and excitement we remember. Positive employees are motivated about their jobs and will tend to be more productive and have lower absence rates. High morale also results in fewer errors in the work being performed. Decorations will add an often much-needed splash of colour to the office environment where employees have spent a large chunk of time already this year. Unless your workplace is full of slides, table tennis tables and chill-out zones it’s likely that it could do with a few bits of tinsel on the walls, decorations on desks and maybe even a tree in the corner. 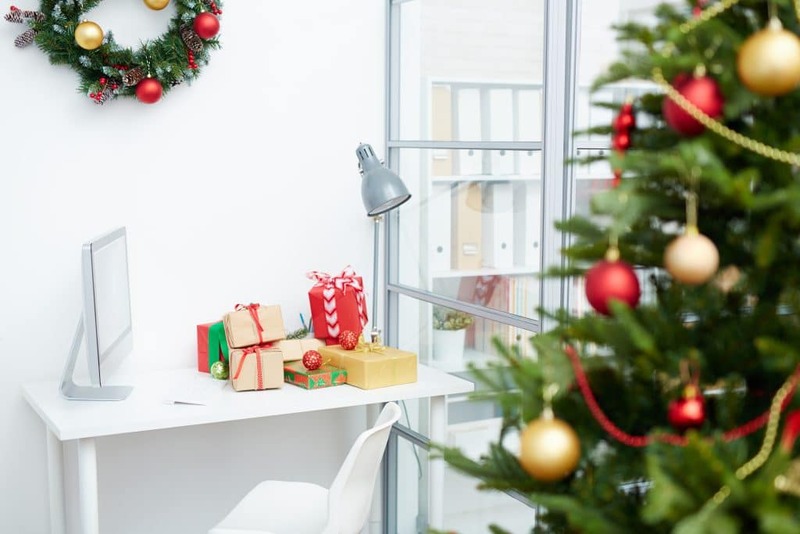 Adding greenery, such as a Christmas tree, to your office can have both physical and psychological benefits for your employees. Bringing a bit of nature into the working environment can help alleviate stress at this often hectic time of year, increase social interaction and improve morale. Decorating the office shows a human side to your brand. Allowing and even encouraging your employees to take a break away from their normal daily duties and responsibilities to hang decorations shows that you not only want them to enjoy the time of year, but also care about their wellbeing and morale. 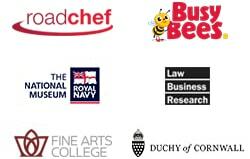 Business leaders getting involved in the festivities further encourages trust and a cohesive culture. The business could even leave some employee gifts under the tree for the last day before Christmas. Demonstrating that the organisation takes its fun side and culture seriously is also great for employer branding and talent attraction. If it’s clear that your employees enjoy working for your organisation, then you’ll be a more attractive prospect for future recruitment campaigns.